Rapid Haulage runs a current fleet of more than 100 vehicles, including b-doubles, sideloader’s, tipping skells, refrigerated pans, tautliners, forklifts from 2.5 ton to 40 ton capacity and utes. We transport dry, liquid, refrigerated, palletised and containerised goods.Our depot located at 214 Victoria Road, Largs Bay SA 5016 contains Quarantine fumigation and wash bay facilities and loading ramps, which makes container packing and unpacking quick and easy. We have drivers licensed to transport dangerous goods, oversize loads, single, b-double and road train loads, so no matter what the size of the load or the goods you need transported, we have the equipment and the staff to suit your requirements. We hold accreditation under the National Heavy Vehicle Accreditation Scheme (NHVAS) in mass, maintenance and fatigue management, which allows us to transport overmass loads, and means we have additional operating hours per driver. As part of this accreditation we have to pass regular, strictly monitiored audits and our staff must be trained to a very high level to meet the accreditation and audit requirements. Rapid Haulage also has refrigerated rigid trucks and prime mover and refrigerated pan combinations available. For more details please click on 'Rapid Refrigerated' above. 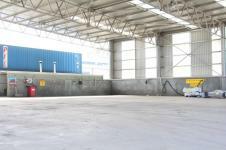 We have over 3000m² of undercover storage area, and more than 20,000 m² of outdoor storage space. 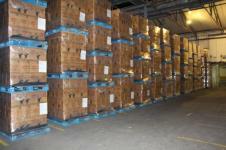 We currently store goods of all types, from palletised stock to cars. Our Australian Customs Service Approved Depot License (77G) allows us to store containers under bond, and being a Class 1 Australian Quarantine and Inspection Service approved premises means we can fumigate goods at our depots if required. 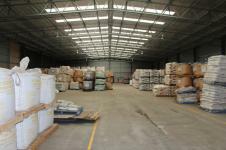 We offer a full stock management service for all items stored at out depot. Rapid Haulage also has equipment available for hire. Our fleet is regularly serviced and maintained, and our pricing is very competitive.